At long last, Maria got the haircut she's been asking for! 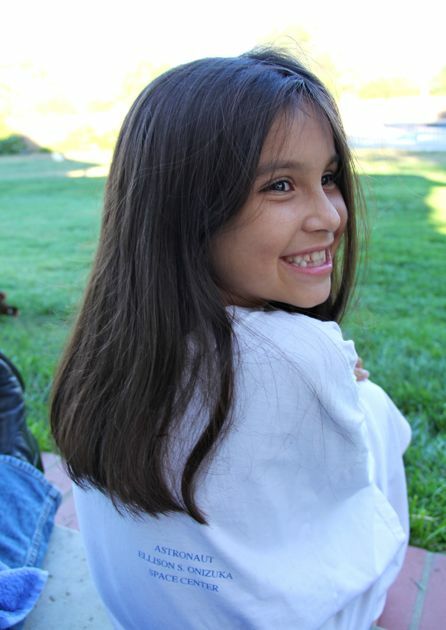 This is haircut #5... because she likes it stated, for the record. She loves her whole new look! That smile on her face... oh yes does she love her new look!!! Maria looks great! And good job mama; looks like a professional cut. Hazel just got her first trim this week; I saved the little lock of hair. 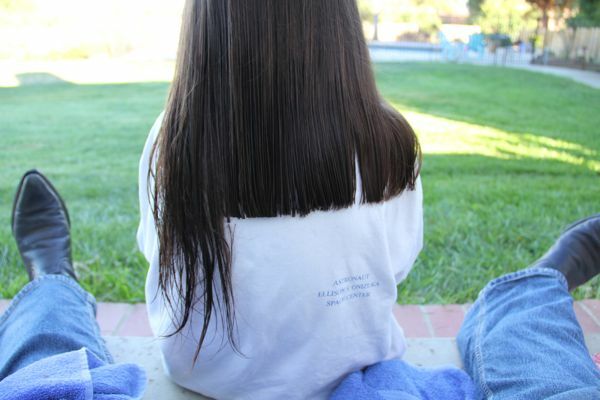 Personally, I think my whole outlook on the world changes when I get my haircut. Fewer tangles in my hair, but also fewer tangles in my life and the world! Getting a haircut always makes me smile, too, but nothing is as brilliant as Maria's! Lovely! 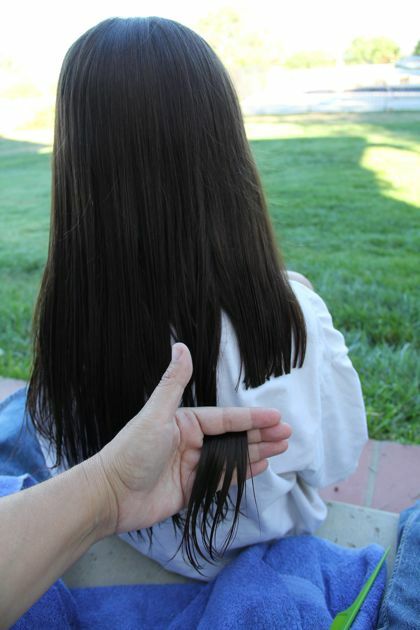 I have fond memories of my mom cutting my long hair in the backyard.